PLEASE NOTE THE PRICE IS FOR A 1/2 SHARE. 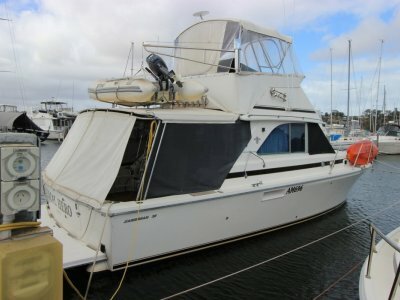 This classic Harriscraft 30 footer has had a huge makeover. A brand new Volvo D4 300hp Diesel engine has just been fitted early August 2017. 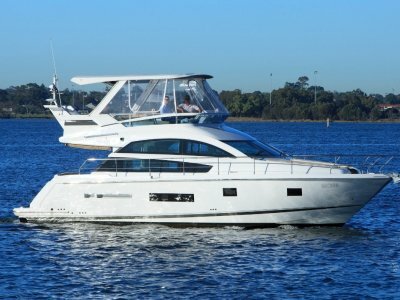 This engine will give great fuel economy, using around 16 l/h at 20 knots and around 22 l/h at 26 knots. 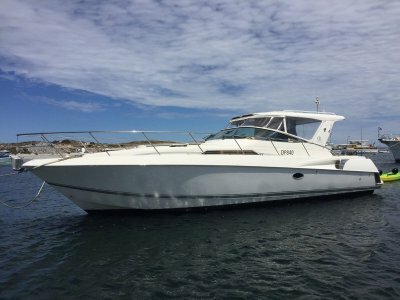 On the sea trial she achieved a top speed of 39.7 knots so she can get up and go if need be. 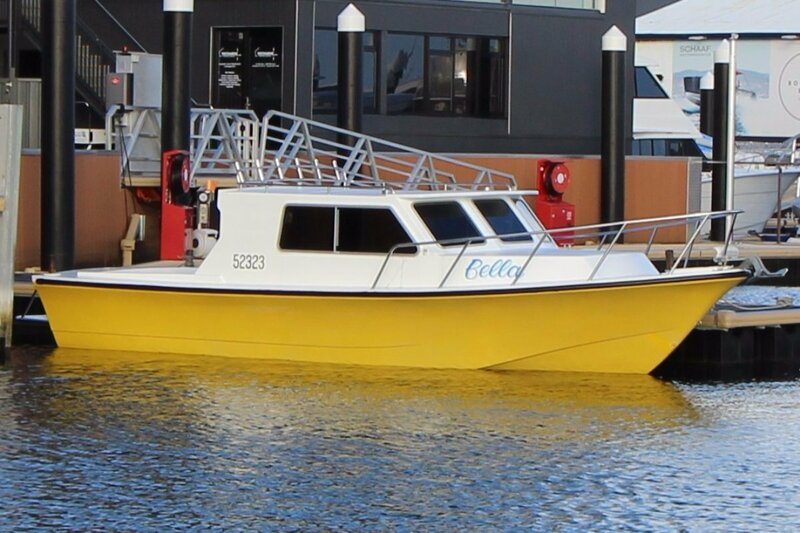 She will be a fantastic diving and fishing boat and is kept in a convenient location, being based at the Blue HQ stacking facility in Fremantle. 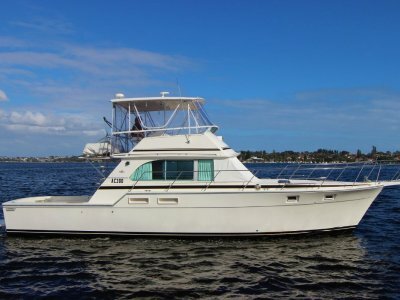 The current owner is looking for a like minded diving/fishing partner to share this boat with using the unique and flexible usage system Boat Equity.